Congrats Suko! You did wonderfully for a first guest post. I like realistic romance as well. Nicholas Sparks is fantastic. I've never read The Notebook though because I love the film so much. Congratulations on your first guest post, you did a wonderful job. It was nice learning more about you and your favorite reading genres. I do read some of Sparks books, I always say I have a love/hate relationship with his books. Some I love, others I hate. My favorite Sparks romance book was "Nights In Rodanthe" It also became a movie. 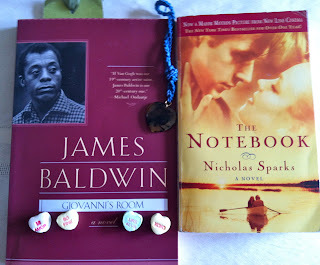 I also like "The Notebook" both the book and the movie. Thank you, Gigi Ann. I also enjoyed Nights in Rodanthe in both forms. Sparks' books make me want to visit the Outer Banks. I'm heading over there now. Will have to check this out! Thanks for letting me know!